Loved the location, Condo, and weather right up to the evacuation. We will definately come back again. Thank you for sharing your review for Gulf Winds East #4. We are delighted to know that you all had a short and sweet stay in this beautiful home and that you so enjoyed the great location! We look forward to welcoming you all back again soon when conditions will allow a longer and even sweeter stay with us here at the beach in beautiful Miramar Beach, FL! Thank you for sharing your review for Gulf Winds East #4. We are so pleased to know that you all had such a special experience in this beautiful home and that you appreciated the great location with the amazing Gulf Views! We agree, Fall is a great time to come and enjoy the Emerald Coast, and we're so glad that you all did! We hope to welcome you and your family back again soon for another wonderful beach vacation stay with us, here at Gulf Winds East! Amazing ..... as usual. I will continue to stay at GWE...I have NEVER been disappointed. The easy way of making my reservations, the communication with Harmony Beach Vacations reps is professional and wonderful. Thank you all so much !!! Thank you for sharing your review for Gulf Winds East #4. We are so pleased to hear that you all had a wonderful stay in this beautiful home! We hope to welcome you all back again soon as our guests for another amazing beach vacation stay with Harmony Beach Vacations at Gulf Winds East! 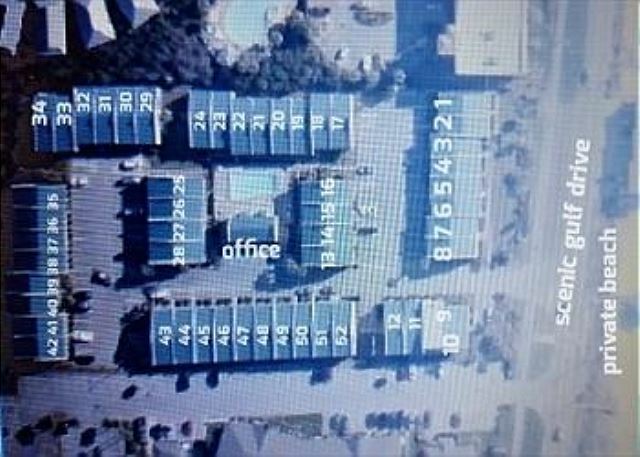 I have stay in several of the units and this one is by far the best. Thank you for sharing your review for Gulf Winds East #4. We are so pleased to know that you all had such an enjoyable stay in this beautiful home and that you have found your favorite! We hope to welcome you all back again soon for another wonderful beach vacation stay with us here in beautiful Miramar Beach,FL! We have been staying at this property for 8 years, and this could possibly be our best visit to date. Unit 4 was a pleasure. Nice view of the beach, with recent interior up-grades. No issues with the property whatsoever. Loved staying at a location with fewer people, and great private beach area. Pool was nice and clean and uncrowded. We'll be back again next year. We thank you for sharing your review for Gulf Winds East #4. We appreciate having you all as our guests over the years, and we're delighted to hear that you all had a wonderful stay in this beautiful home! We're glad to know that you enjoyed the Gulf View, the recent updates, and the great features of the Gulf Winds East community. 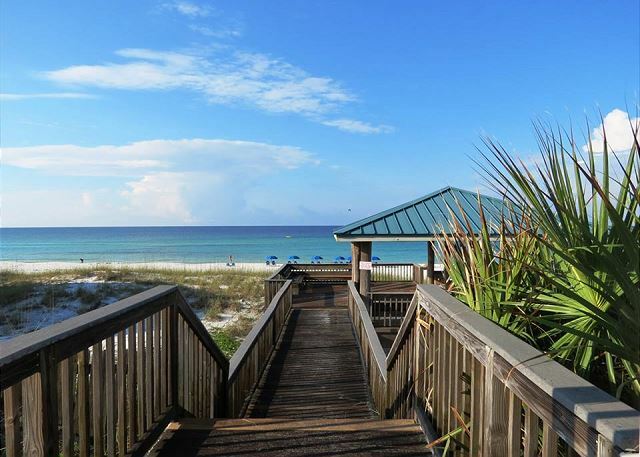 We look forward to welcoming you all back again soon as our guests here in beautiful Miramar Beach, FL! We have enjoyed staying in this unit for a number of years and appreciated the recent updates. The unit was very clean and well-equipped and the Harmony Beach Vacations staff were very friendly and helpful. We will definitely be returning. Thank you for sharing your review for Gulf Winds East #4. We are delighted to know that you all enjoyed another wonderful stay in this beautiful home and that you so appreciated the updates! We thank you for your kind words for our team, we appreciate that! We hope to be welcoming you all back again very soon as our guests here in beautiful Miramar Beach, FL! 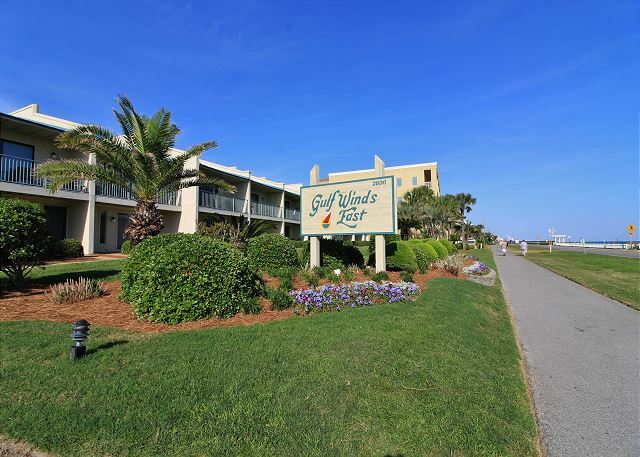 I have been staying at Gulf Winds East for approximately 30 years. It never ceases to amaze me the wonderful experience I had, once again!! Clean, quiet, easy access to beach and most importantly the accessibility of the staff with Harmony Beach Vacations. Everyone I came in contact with was, in my opinion, top notch. Thanks to all….Connie and Justin. Those are the only names I remember at this time and I apologize for not naming them all. I already have plans to return to Gulf Winds East in about 4 months. Will NEVER stay anywhere else !!! Thank you for sharing your review for Gulf Winds East #4. We so much appreciate having you as our guests over the years and we are delighted to hear that you had another wonderful stay with us here at Gulf Winds East! We thank you for your kind words for our Harmony Beach Vacations team, we appreciate that and we will be sure to share your comments with our staff. 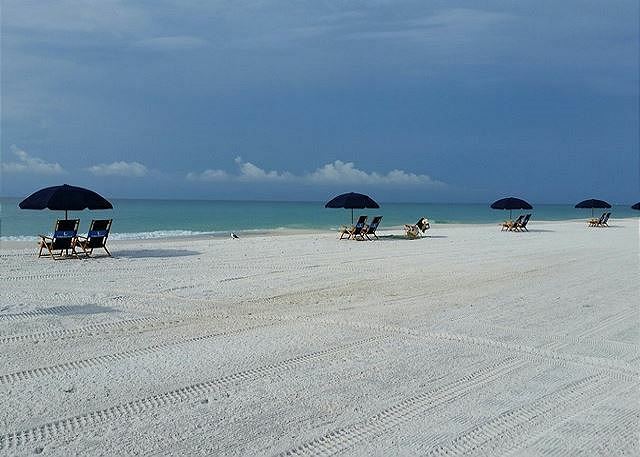 We look forward to having you all back again soon as our guests here on Florida's Emerald Coast! See you soon in Destin! We were very satisfied with our overall stay. Had a small mix up when we first arrived, but the staff responded quickly. Loved our beach view condo. Would definitely stay here again. Thank you for sharing your review for Gulf Winds East #4. We are so happy to know that you all had an enjoyable stay with us in this beautiful home and that you loved the gorgeous Gulf View this home offers! We would love to welcome you all back again soon as our guests here in beautiful Miramar Beach, FL! We have been staying here for over 20 years. Feels like home. However, we needed more bath towels. Our condo holds 8 people but only had towels and wash cloths for 5. The rule of only having 2 vehicle is very inconvenience. The parking spaces from 5 through 8 were empty but yet we had to park a car at Destin Commons. This is a "Family" vacation for us and my daughters have to come at different times due to work schedules. We do try to overlap a day or two so we can spend time as a family and go out to eat. Thank you for sharing your review for Gulf Winds East #4. We are so pleased to know that you all feel like home at Gulf Winds East and we so appreciate that you all have been coming for over 20 years! It is wonderful to hear that you all were able to enjoy some quality Family Time! We hope you gave us an opportunity to bring you all some more towels and washcloths, we apologize that you didn't have enough. We try very hard to work with our guests in anyway possible, however the parking is limited to 2 vehicles per home which is usually workable for a 2 bedroom townhouse, but we are sorry this wasn't enough for your specific situation. We can't allow guests to park in the spaces reserved for other homes, since these are reserved specifically for the other homes, and when guests arrive that need those places it would be a problem. We hope to welcome you all back soon for another wonderful family vacation, and we would love to have you contact us prior to your arrival about parking, or anything else that we can offer assistance with. We truly want each guest to have a worry free vacation and we enjoy doing everything we possibly can to make that happen. We stayed a full week for the first time in a while! Awesome week on a great Gulf front unit! Great weather, wonderful views and our condo was super! Thank you for sharing your review for Gulf Winds East #4. We are so pleased to hear that you all enjoyed your week in this beautiful home at the beach, and that you so enjoyed the gorgeous view of the Gulf just across the road! We would love to welcome you all back soon for another wonderful beach vacation stay with us here in beautiful Destin, FL! We loved everything about it. The sweetheart that was working in the office when we arrived on Friday was the BEST. She was very nice and professional. I am sorry I did not catch her name but she was a sweetheart. Thank you for sharing your review. We are delighted to hear that you all had such a wonderful stay with us at Gulf Winds East #4! We thank you for the compliments to our staff as well and we will certainly pass this along. Our staff love to hear feedback from our guests! We would love to welcome you all back soon as our guests in beautiful Destin, FL! The condo was awesome. The view from the balcony was spectacular. The condo was clean and spacious. I loved having a washer and dryer in the condo. Thank you for your review. We appreciate having you as our guests at Gulf Winds East #4 and we're so happy to hear that you all enjoyed this beautiful home and the beautiful Gulf View from the balcony! We would be happy to welcome you all back soon as our guests in Destin, FL for some more Family Fun at the Beach! It was a great location to walk to the beach and great view. Very clean! Definitely will go back! Thank you for sharing your review for Gulf Winds East #4. We are quite pleased to hear that you all had a wonderful stay with us and that you enjoyed the beach, the location and this beautiful home! We would be happy to have you all back soon as our guests in Destin, FL! Dogs barking, sprinkler hit back wall of room closets to parking lot. No broom for unit. Great water pressure. We appreciate you staying with us and for sharing your review. We're pleased that you enjoyed your stay with us! We hope that you informed our onsite office of the issues you mentioned. We are always available via phone too, to assist our guests so that each guest can completely relax and enjoy their vacation! We hope to have you back soon as our guests at Gulf Winds East! Thank you for sharing your review for Gulf Winds East. We appreciate regular guests such as yourselves coming back to this beautiful community year after year and we look forward to having you back many more times ahead as our guests at Gulf Winds East! The weather was perfect, the Gulf looked fantastic and our accommodations were first rate as usual at Gulf Winds East. The grounds looked great and up to par with the surrounding properties. Thank you for sharing your review. We are so pleased to hear that you all enjoyed your stay with us at Gulf Winds East and we would be happy to welcome you back soon as our guests at the beach! Condo #4 very clean, great view of the ocean, had everything we needed ? we will be going back next year ! Thank you for sharing your review. We appreciate you staying with us and we look forward to having you back as our guests next year! We loved our stay in Condo 4 at Gulf Winds East. The condo was decorated beutifully and everything was in working order. There was an issue with the outdoor shower head and the blind on one of the sliding doors. Maintenance was there immediately to remedy the issues. Great view of the ocean. We were concerned the AC wouldnt cool to our liking but we were chilly in the evening and mornings, just the way we like it. Overall great stay and will definitely stay in Condo 4 again. Thank you for sharing your review. We are so pleased that you all enjoyed your stay so much and we hope to have you back soon as our guests! We loved it!!!!! Definitely coming back.